Production slitter unloading, direct from the rewind shafts or unload tree. SCM provides standard systems to integrate with all makes of slitter rewinders standard or turret centre winders and centre surface machines. From stand alone roll turners through to providing fully automated roll unloading, individual roll wrapping, multi roll wrapping, manual and fully automatic roll palletising. 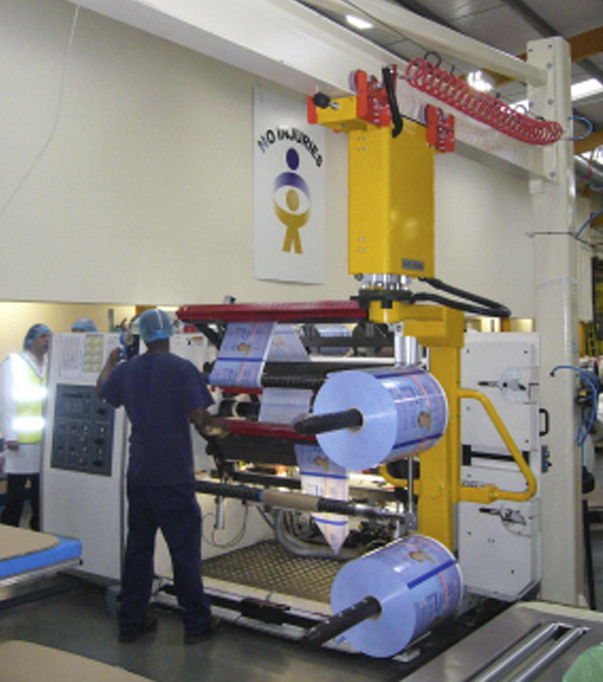 SCM systems cover all aspects of roll production within the flexible packaging industry. Heavy duty materials handling systems supplied into the paper and board industry, for the handling of both rolls and sheets. 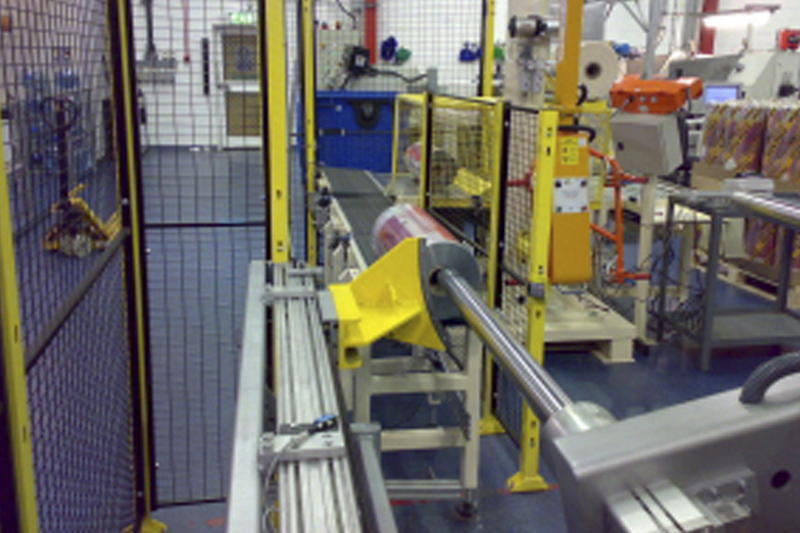 SCM manufacture everything from roll stops taking rolls direct from the winder, in floor conveyors, weigh scales, label application, fully automatic wrapping, roll upending / down-ending and palletising. 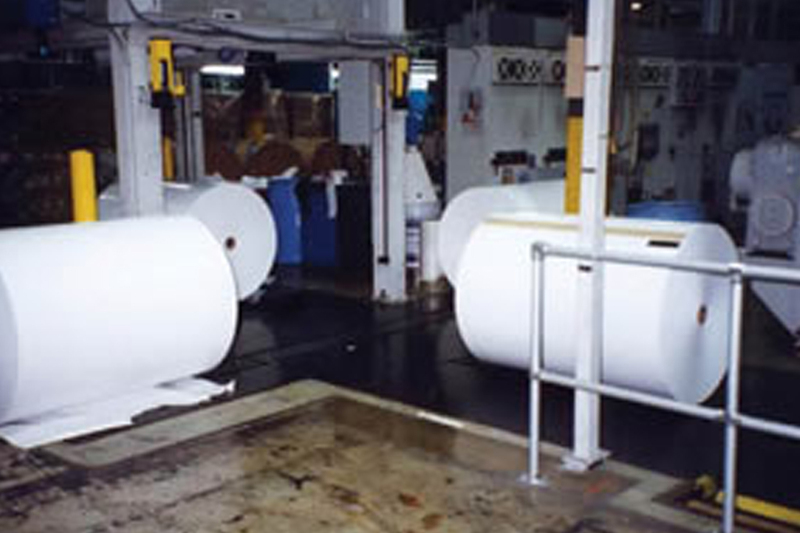 SCM systems cover all aspects of roll production within the Paper & Board industry. Materials handling of rolls and sheets of film, paper, foils and laminates typically worked with in most converting shops. SCM provide standard systems to integrate with all makes of slitter rewinders standard or turret centre winders and centre surface machines.